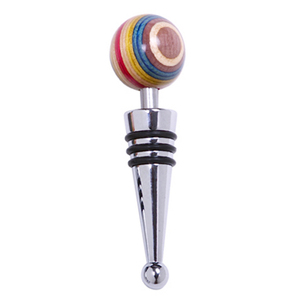 A beautiful colored wood round ball tops the stopper. Stopper is polished stainless steel. Has 3 black lines that are grippers to ensure the stopper fits snugly. Measures, 4"/10cm. Hand wash.